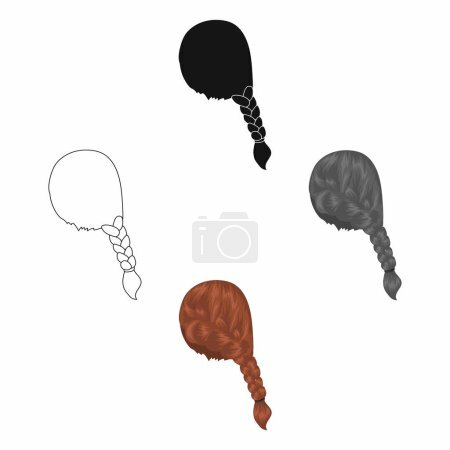 Фотобанк Rusmediabank – лицензионные Фото, Видео, Музыка - Red pigtail.Back hairstyle single icon in cartoon style vector symbol stock illustration web. Red pigtail.Back hairstyle single icon in cartoon style vector symbol stock illustration web. Red pigtail.Back hairstyle single icon in cartoon style vector symbol stock illustration .